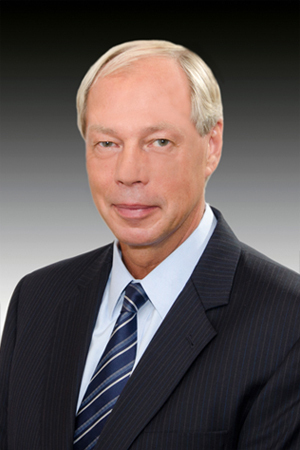 Roy J. Coleman is a Partner at Iandiorio Teska & Coleman. Mr. Coleman received his Juris Doctorate Degree from Franklin Pierce Law Center, in Concord, New Hampshire, specializing in Intellectual Property law. Mr. Coleman is a member of the Bars of Massachusetts, the U.S. District Court for the District of Massachusetts, and the U.S. Patent and Trademark Office. Mr. Coleman has a Bachelor of Science in Biomedical Engineering with a concentration in Electrical Engineering from Boston University. Mr. Coleman has also taken post baccalaureate courses in Organic Chemistry, Biochemistry and Immunology. Prior to joining the firm, Mr. Coleman worked for two years as biomedical research engineer investigating biomedical ultrasound back-scattering. Mr. Coleman presented results of his research at the Joint Spring Meeting of the New England Section of the American Physical Society, Wellesley College, Massachusetts. The abstract from his presentation is published in the Transactions of the American Physical Society (Dec. 92), and his work was acknowledged by the authors of "Ultrasound Scattering from Spherical Tumors", Physics, Medicine, and Biology (Vol. 37, No. 11, 2035-2044). Mr. Coleman also worked for ten years as a software engineer and systems analyst prior to becoming a patent attorney. Mr. Coleman's practice specializes in developing intellectual property strategies for his clients, as well as preparation of patent applications, patent infringement and validity opinions, and patentability search requests. Mr. Coleman is also involved in patent, trademark, and copyright litigation. Mr. Coleman has prepared numerous patent applications in a multitude of disciplines, including, inter alia, medical devices, complex electronic systems, power systems, optics, mechanical systems, spacecraft, warheads, computer software and business methods, chemical compositions, waste water treatment systems, and supercritical fluid chromatography. Mr. Coleman is a Programming Director of the Boston Chapter of the Biomedical Engineering Society. Mr. Coleman is also the Co-Chair of the Entrepreneur Special Interest Group and a member of Program Central. He also previously served as Vice Chair, Programs for IEEE Entrepreneurs' Network.